Get a look at kind words from our customers. Serving Brampton, we also provide our services in Peel Region, Halton Region, Dufferin and Northwest GTA. Take a look to learn more today. Hi Kim, just a quick note letting you know everything is done. John and Christina were great and did a fantastic job! I am extremely happy with the new door and windows. My family and I would like to thank the team at Trueseal for the great service during a recent installation. The patio door looks beautiful and well assembled, everything went smooth and on time. Deb honored a verbal quote even after a two-week delay in my behalf, thank you. John and Kusia, took care of our home, and when their work was done they left the place even cleaner than before. Trustworthy and capable are the words that comes to mind to describe them. Thanks again. Excellent work from Deb in the office to Ian and Ryan’s work onsite. Communication was flawless, especially when they needed to alter some of the plans. All work was done on time and done as though they were working on their own house. We are now proud of our "new looking" house with our siding looking impeccable. We would highly recommend this family run business in Brampton. We sincerely thank TRUESEAL for the marvelous work they did on our home over the last 2 years. We were so pleased last year with the new windows as well as a new sliding patio door (complete with the mini blinds between the glass) TRUESEAL installed. Amazing work!!! Trueseal just finished installing new vinyl siding with one inch foam underneath. What a difference this makes. It is so much quieter inside our home, not to mention saving on the heat and air conditioning. We are so thankful to Deb and Kim for assisting us in picking out just the perfect shade of vinyl to complement our bricks. They also suggested installing it vertical rather than horizontal and it looks awesome. We can’t thank John and Gary enough for the time and energy they showed us in getting the job done. A Fantastic job!!! TRUESEAL has our vote. Windows are a great investment in your home, but not really as exciting as something like a kitchen or bathroom. Still, getting a great product with a good price and exceptional service is very important. As experienced window buyers (this is our third home, and in each we've needed to replace window and door systems), we couldn't be more pleased with Trueseal Windows. After getting 4 other quotes, we chose Deb from Trueseal . She took her time in assessing our needs and made a great suggestion for us to try awning windows instead of the casements we had been considering. Trueseal is a family business with very competitive pricing and a great product. Their warranty on the windows (made by VinylBilt) and installation/craftsmanship can't be beat. Ian did the installation and was thorough, precise, and a pleasure to work with. From start to finish, we would recommend Trueseal to anyone in the market for windows. I had several companies provide me with quotes but Trueseal provided me with the best service, right from the moment I walked into the store. It was a great pleasure to work with Deb and Ron, and would highly recommend Trueseal to anyone looking for new windows or doors! Thanks Deb and Ron! A truly professional job all round. Thank you for restoring my faith in contractors, and possibly the human race! - Brian & Gaye C.
A short note of thanks for the excellent job done on our home. 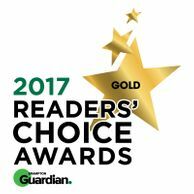 We have been most pleased with all of your staff - from start to finish! 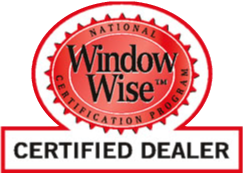 - Randy & Shirley H.
We would like to let you know that we are extremely pleased with the window installation. Thank you very much. We're proud of the windows and highly recommend you to our friends. Thank you for a job well done. I would not hesitate to recommend you and your company to anyone interested in replacing any window or doors in their home. We have been dealing with Trueseal for a number of years now on different projects and the products and workmanship are outstanding! I would recommend their services to anyone and am quite confident they would be satisfied with the end result. Also, they stand behind their services and resolve all inquiries quickly and efficiently. We can't say enough to praise the job done by Ian and Stacy on our home. The windows you ordered Deb were absolutely fantastic. They look incredible. The whole job was 110% professional from beginning to end. From the moment we spoke we knew this was the right company to do business with. Ian and Stacy were so careful and caring making sure everything was perfect right to the end of the job. We are extremely happy with the final result. When the time comes to match the back of the home with the front we will definitely be calling on your company to finish the job. We would HIGHLY recommend anyone wanting to have new windows installed should only go with Trueseal. Thanks for such a great job. - George and Deedy W.
Thanks so much for the clean, efficient and fast service. Look forward to enjoying the new windows for 30 years, just like the first windows you installed so long ago! Whether it’s fibreglass, steel, wood, patio & garden or storm doors, we can do it all. Give us a call today and learn more about the work we do. You can also get a quote from us and share your vision with our experienced window and door specialists. Brampton and the surrounding areas.